Now that the Crush Blog is iPhone & iPad friendly I’m going to show you how to add an icon to your home screen that will take you directly to the Crush Blog. It’s super easy and takes less than a minute! Simply follow the 5 steps written under each image. I’m using screen shots from the iPhone but doing this on an iPad is pretty much the same. Step 1: From the home screen, press the Safari icon to open your internet browser. 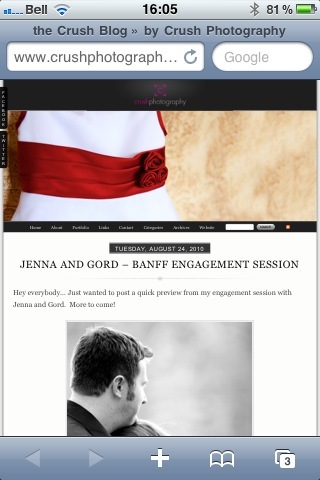 Step 2: Navigate to www.crushphotography.ca/blog using the navigation bar at the top. Once you've entered the address press the "Go" button. Step 3: Press the plus sign (+) at the bottom of the screen. 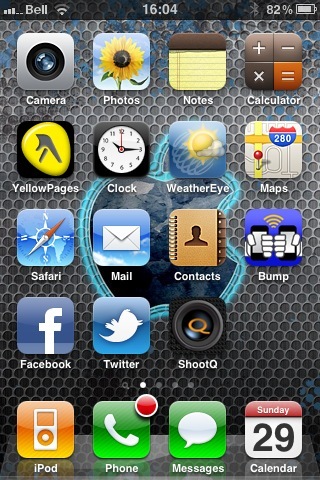 Step 4: Press the "Add to Home Screen" button. Step 5: Enter the name you wish to appear under the icon (I used "Crush Blog") then press the "return" button. You're done! You now have a nice new icon on your home screen. You can press this icon and be taken directly to the Crush Blog. 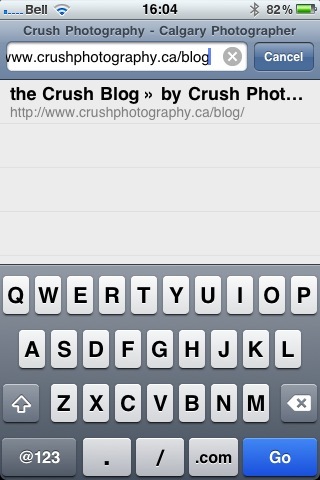 Now you can easily click the Crush Icon and go straight to the Crush Blog. 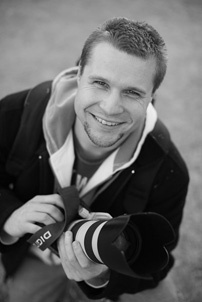 You can do this for the Crush Website as well. Just navigate your internet brower to the Crush website and follow the same steps. Enjoy!